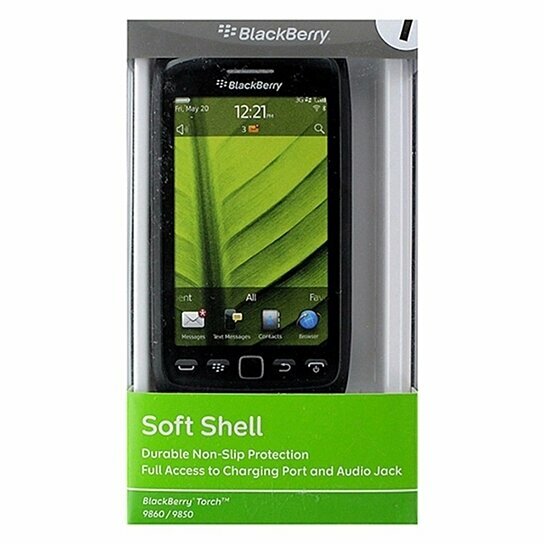 BlackBerry products, Soft Shell Gel Case for BlackBerry Torch 9850 and 9860. All Black finish. Durable non-slip protection. Full access to ports. Protection from everyday bumps, scratches, and accidental drops.